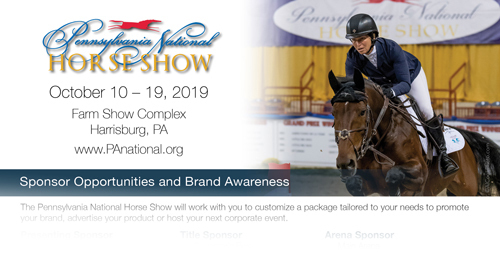 Sponsors who partner with the Pennsylvania National Horse Show have access to the unique audiences associated with one of the largest indoor horse shows in the country. 1,400 competitors come from across the country and abroad to showcase the talents of themselves and their horses. 15,000 spectators come to be entertained and educated and to shop over 70 unique vendors. The Horse Show offers benefits that range from on line promotions and social media to vendor booths, print advertising, unique hospitality events, branding and name recognition. With almost three quarters of a million live feed views, sponsors also reach a huge and diverse audience outside of the ring. 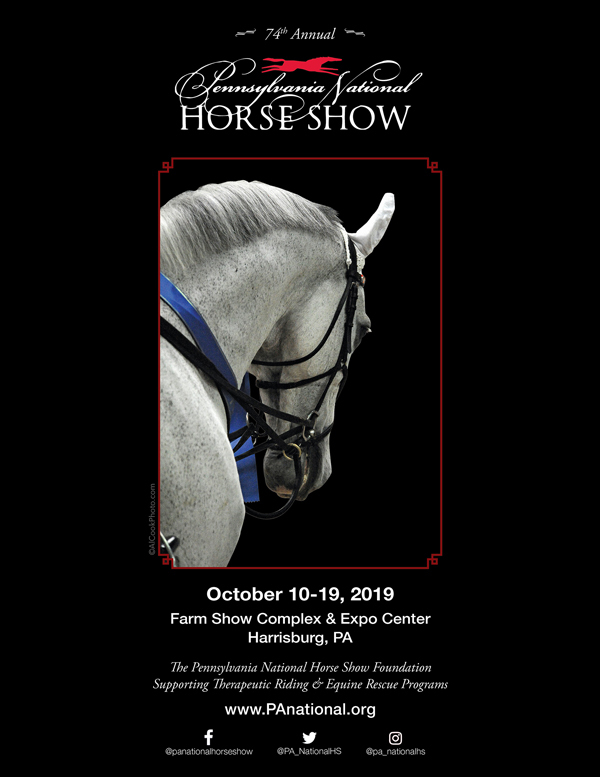 The Pennsylvania National Horse Show is committed to producing a first class event that sponsors will be proud to partner with. The Horse Show is also committed to ensuring the satisfaction of our sponsors and works year round to promote our sponsors to our audiences. Sponsorship provides participation in an event that: benefits a 501(c)3 Foundation supporting area youth and equine programs such as therapeutic riding; brings over $44,000,000 to the greater Harrisburg area over the ten days of competition; and, has been a tradition in the community for over 70 years.